Please select a size. 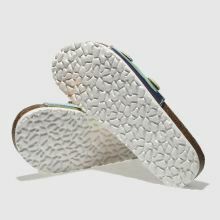 EU 36 - In StockEU 37 - In StockEU 38 - In StockEU 39 - In Stock Please select a size. 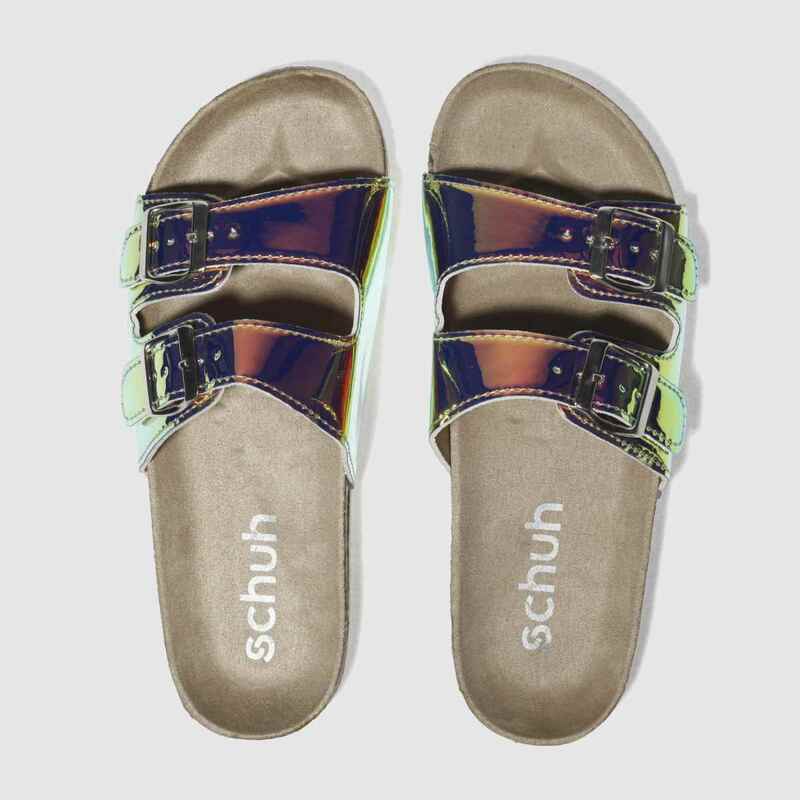 Crafted to give your new season looks that 'extra' vibe, schuh drop their man-made Hawaii footbed sandal with an iridescent update. 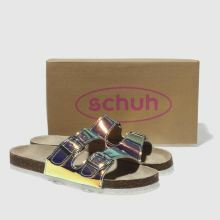 Rock these at the beach, festival and more, as they are crafted with gold buckled foot straps that shimmer in the light.